The Ruskin Memorial V.F.W. Post #6287 is once again holding a Veteran’s Day Parade on Saturday, November 8 at 11 a.m. 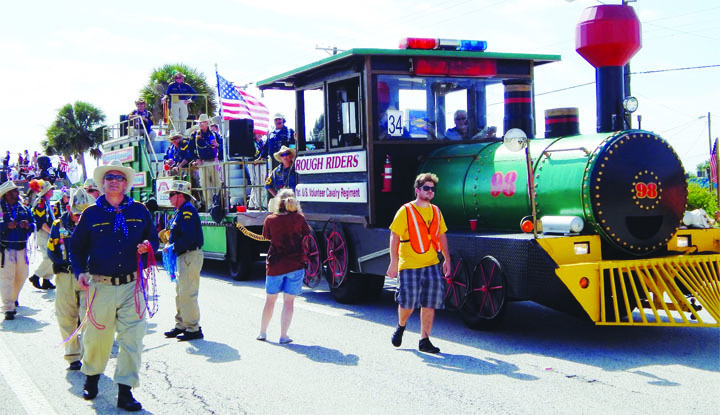 This patriotic and fun-filled family event will honor all veterans and will go through downtown Ruskin, North along U.S. Hwy. 41. The V.F.W. Post invites all local youth, civic and community organizations, fraternities, krewes and businesses to join them for this patriotic holiday parade. The parade is free to the public and all participants. All participants, sponsors and attendees are welcome at the Ruskin V.F.W., located at 5120 U.S. Hwy. 41 N. in Ruskin, following the parade for ongoing family fun, music, food and the awards presentation ceremony. Any group that is interested in participating in the parade should contact Bruce Scheller at 645-2935, or Shirley May at 645-3410 or aability1@verizon.net. The applications deadline is Saturday, October 18. Additional information and entry forms are also available at www.vfwpost6287.com.